Rainbow Web 2 welcomes you again to the wonderful world of the Rainbow Kingdom! Your hero has already broken the spells laid upon the magic land by a wicked and powerful Sorcerer Spider. In this game you are to free the Royal Palace from evil spells, and bring the castle to its former splendor by completing 82 different levels in 14 unique rooms with 7 spider web patterns and 2 kinds of exciting mini-games: Jigsaw Puzzle and Hidden Object. ...... save the magic land. The young hero managed to bring rainbow colors to the country, but this was only the beginning of the legendary battle? Rainbow Web 2 welcomes you again to the wonderful world of the Rainbow Kingdom! The Royal Palace is still captured in Spider's powerful spells, and is haunted by dark magic creatures. 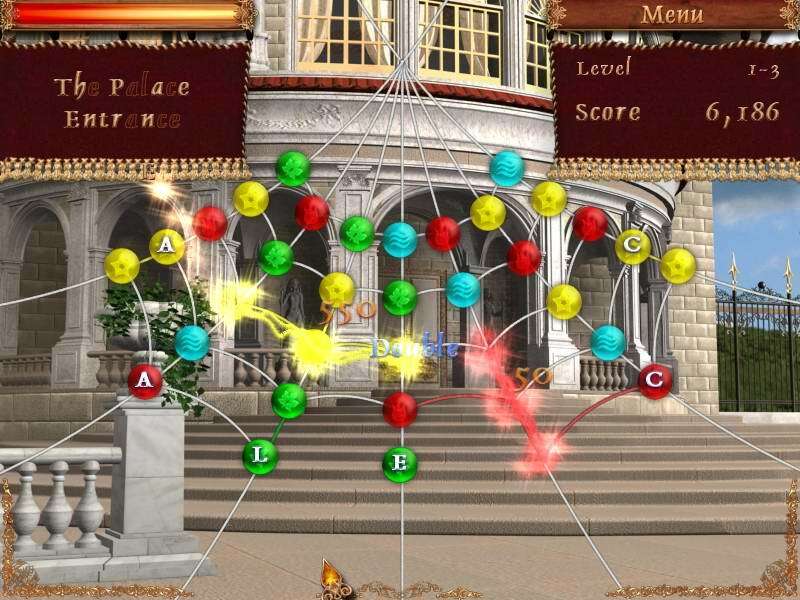 In this game you are to free the Royal Palace from evil spells, and bring the castle to its former splendor by completing 82 different levels in 14 unique rooms. At full player's disposal there are 7 spider web patterns and 2 kinds of exciting mini-games: Jigsaw Puzzle and Hidden Object. Welcomes you again to the wonderful world of the Rainbow Kingdom! Qweas is providing links to Rainbow Web 2 1.1 as a courtesy, and makes no representations regarding Rainbow Web 2 or any other applications or any information related thereto. Any questions, complaints or claims regarding this application Rainbow Web 2 1.1 must be directed to the appropriate software vendor. You may click the publisher link of Rainbow Web 2 on the top of this page to get more details about the vendor.